cook in a pan on medium low until browned. add red pepper flakes if you like it spicy! pour over noodles of your choice. 6 tbsp aquafaba (aquafaba is the liquid in canned chickpeas or liquid left after cooking chickpeas. ( I prefer canned) - aquafaba is a great egg replacement for many recipes! Bake at 350 degrees for 45-50 mins. Slice and enjoy and please share my recipe! If you are looking for other recipes for Thanksgiving, Christmas or a special occasion, check out my vegan soul food recipe playlist. Recipes include mac and cheese, candied yams, southern potato salad, mushroom gravy, collard greens and more! Thank you and I appreciate the love! Combine all ingredients into a large pot. Download a printable copy of this recipe! Chop celery and red pepper into pieces that can easily fit in a food processor. Add all ingredients to a food processor. Pulse until you get desired chunkiness. Party Pleasing Homemade Salsa In Under 5 Mins! You'll also need a food processor and a glass container for storage. 2. pulse briefly, watching texture and consistency. 3. Add lime juice, salt and green chili or hot sauce. 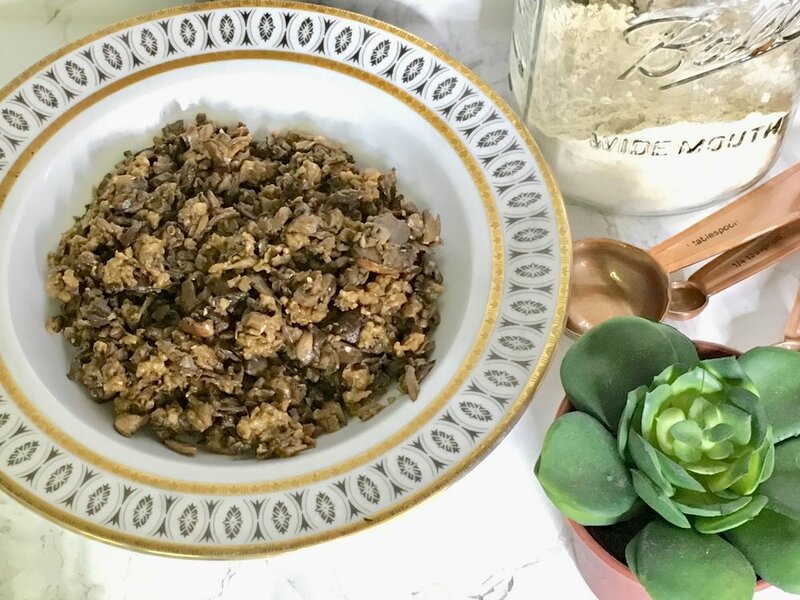 The Only Black Bean Recipe You'll Ever Need! 1. soak fresh dry black beans overnight. rinse and drain. Summertime is the perfect time for a sweet cool popsicle. Here in Florida we eat them on the regular! I love making these because I know exactly what is going into them..yummy ingredients and love! My son Zach eats ice pops like they are going out of style. When I buy a box and turn around the entire box is gone! Needless to say I save a lot of money when I make these myself. Your kids can make them too! They are super easy to make and a lot of fun! Here are my three delicious vegan soul food ice pops! Watch the video! Combine everything in food processor. Pulse until combined. Don't make it mushy.. Don't puree. :) Pan fry. 5 mins on each side. ( I like to use avocado oil.) Freeze left lovers. Top with your favorites. Combine all ingredients except pasta, breadcrumbs and 1 tablespoon of vegan butter into food processor or high speed blender, until it turns into a cheesy consistency. Preheat oven on 375. Butter baking pan with 1 tablespoon of vegan butter. Mix pasta and cheese sauce in a large bowl. Spread out in baking pan. Bake for 10 mins, covered. Sprinkle breadcrumbs. Bake on broil for another 5 min or until you see golden crispy edges and golden toasted breadcrumbs. How To Go Vegan! The How To Go Vegan Recipe! Thinking about going vegan? I know it can seem really hard to do. It's a big change and that shouldn't be taken lightly. Natural Vegan Mama is all about showing people how easy a vegan lifestyle can be but we do recognize that it can be difficult. Hey, it's a big change! You know what though? It is so worth it. Here is a recipe card to get you started. Need some support? Reach out anytime! We are in this together! Rise mushroom cap. In a small bowl mix the apple cider vinegar, coconut oil, garlic, liquid smoke and salt and pepper. Place the mushroom in the bowl and turn over to coat both sides. Let it marinate for 10 minuets. Pan fry on medium high heat. Brush mushroom with mixture as it cooks. Continue basting for about 7 minuets. Place mushroom on a whole wheat bun with Just Mayo or your favorite condiments. I like to toast the bun and spread it with a vegan butter like Earth Balance. :) Enjoy! Pour coconut cream into a pan on medium heat. Add onions and garlic. Saute' for 10 mins. Add water, curry powder and tofu. Sprinkle salt and pepper to taste. Bring to a boil for 5 minuets. Return to low/medium heat. Add tomatoes. Simmer for 15-20 mins. Serve over white rice as shown or use brown rice, quinoa or your preferred grain. Enjoy! Jerk Seasoning - I used Reggae Country Jerk Seasoning. Drain and rinse chick peas, marinate chick peas in jerk seasoning, in a medium sized bowl for 20 mins, place chick peas on a baking pan lined with parchment paper. Bake chick peas at 425 degrees for 15 mins. While chick peas are marinating, chop cucumber, sweet peppers, mushrooms, grape tomatoes, and romaine lettuce. Arrange all the veggies in two salad bowls. Combine Just Mayo, black pepper, apple cider vinegar, jerk seasoning. Mix then add to salad. Remove chick peas from oven and add to salad. Enjoy!